After plowing into the North Carolina coast late last week, Florence lingered over Carolinas all weekend like an unwanted house guest. Though its winds had slackened to a tropical depression by Sunday, the record-setting rains it unleashed have created a flooding catastrophe that is still unfolding. The scale of that catastrophe is now becoming apparent in aerial photographs. 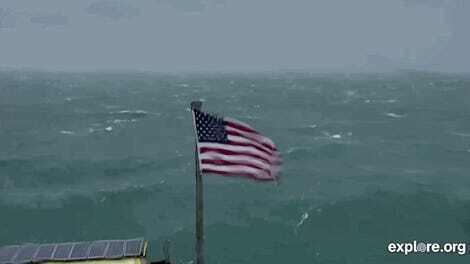 The storm has set tropical rainfall records for both South and North Carolina. Multiple locations in North Carolina saw more than 30 inches of rain, making this the wettest tropical system to ever hit the East Coast. The relentless rain also helped Wilmington, North Carolina break its annual rainfall record with three months left to go in the year. Homes along the New River are flooded as a result of high tides and rain from Florence. 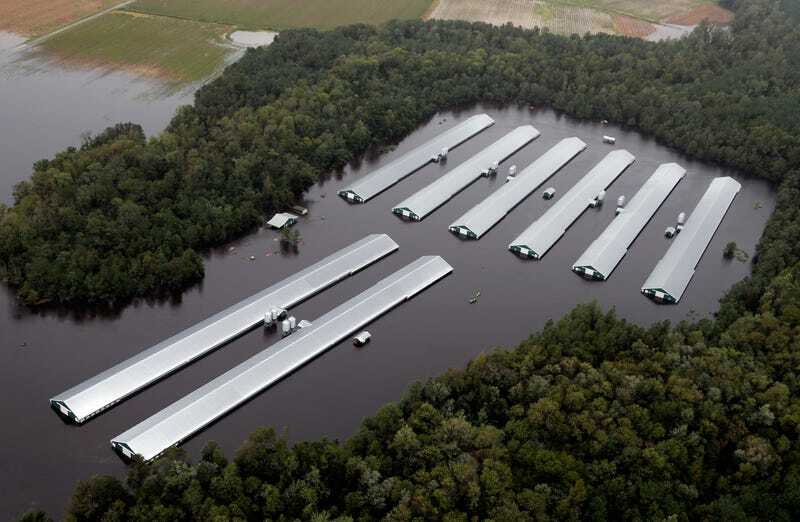 Farm buildings are inundated with floodwater from Hurricane Florence near Trenton, North Carolina. Coast Guard Road leading to the south end of Emerald Isle, North Carolina is seen after Hurricane Florence hit. Floodwaters from Hurricane Florence inundate the town of Trenton, North Carolina. Homes and a marina flooded as a result of high tides and rain in Jacksonville, North Carolina. Damaged mobile homes from hurricane Florence which moved through the area in Jacksonville, North Carolina. A downed tree uprooted by Hurricane Florence lies next to homes in New Bern, North Carolina. Floodwaters surround a house and flow along the street in Fayetteville, North Carolina. A steeple lies next to the Elah Baptist Church in Leland, North Carolina after being blown off by the strong winds. Correction: This post incorrectly labeled one of the images as showing hog farm buildings. They’re regular old farm buildings.